"We're Home When You're Not"
Animal House is your full service pet boarding facility dedicated to providing a safe, fun, low-stress environment for your pet while they are away from home. We offer private, spacious kennels, daily individual and/or socialized playtime, full grooming services, daycare, and both multiple pet and extended stay discounts. We cater our care to your pet’s individual needs, and with only 16 kennels we are able to ensure that your furry family member will receive top-notch treatment. 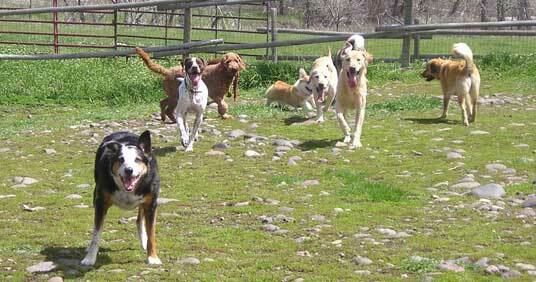 Animal House Pet Lodging provides Gallatin Valley pet owners a low-stress boarding environment for their beloved pets. Our goal is have pets that are excited to stay with us. We encourage each owner to tell as much as possible about their pet, including any and all concerns they may have about their pet’s kenneling experience. Any specific information you are able to provide about your pets personality & likes or dislikes, helps us create a positive place for him/her to stay. With over 12 years of experience serving pets and their owners, we know how difficult it is to trust their care to someone else. No two pets require the exact same care, and we strive to offer personalized treatment for all our clients. We are always working towards providing the best possible care for each pet. Please visit our other pages to learn more about the services we provide here at Animal House. We have put together a list of answers to many of the common questions people have when they begin to look for a place to board their pet, but please feel free to contact us with any additional questions. We are always happy to clarify any information, or to just give you more details about the care your pet will receive at my facility. We would love to give you a tour and have the opportunity to meet, and learn about, your pet(s). Please call or email to set up an appointment.